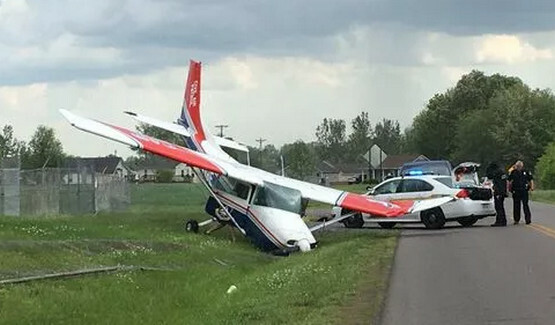 CLARKSVILLE, Tenn – A Cessna 182 aircraft [N5419E] crashed on landing at the Clarksville Regional Airport about 3:30 p.m. Sunday, May 6. 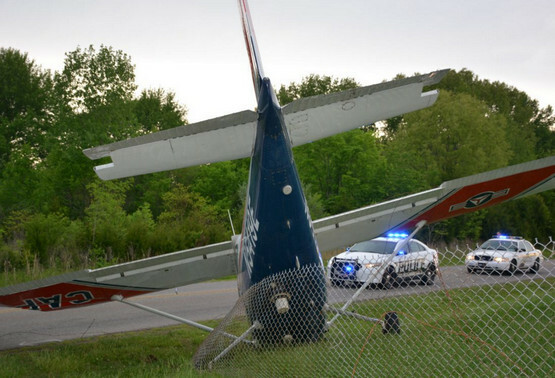 According to Clarksville police, the aircraft touched down, went through the perimeter fence, and came to rest on the shoulder of Outlaw Field Road, blocking one lane of traffic. Officials believe the pilot was the only occupant of the plane. The pilot’s injuries do not appear to be life-threatening. 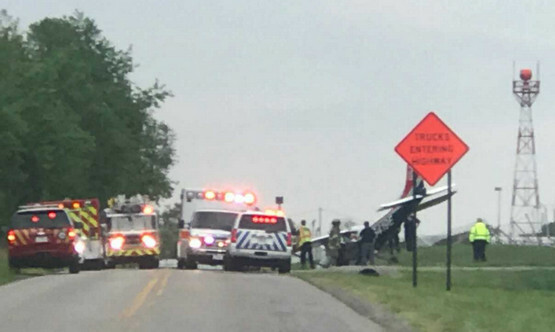 Lt Colonel Wilson Polidura with the Civil Air Patrol was on the scene and said the aircraft was on an Air Force assigned training mission and a thunderstorm took control of the aircraft. 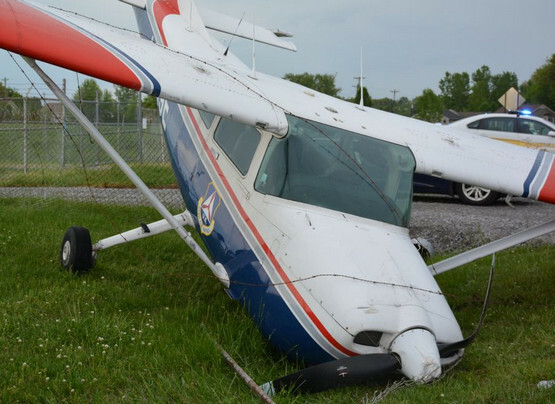 14 Comments on "Civil Air Patrol Crashes Another Airplane"
Your investigator-authors are doing a good job, but this is my second request in trying to help you. The first was sent in as a comment around this time last month. I am now sending as a comment and as a contact entry. Carol Anne Grant just recently passed away on May 1st 2018. I sent you her two decade nightmare story in Civil Air Patrol and her obituary (link removed). The legal document (link removed) exposes how Civil Air Patrol appears to create and circulate false secret-squirrel charges to which the accused never gets the opportunity to refute. We all know that CAP continues to use this tactic to preserve their good ol’ boy club using federal and state tax payer funds. Could you please publish the full contact story for us? I know what ur doing and u r NOT getting away with this and still being a CAP member. I will report this to Capt Cray, Lt Col Ninness and to Col Harbison. U will NOT get away with this. If you look at the weather history on the airport that day (KCKV), there was thunderstorms starting from 3:04 pm to 4:28pm. At 3:32pm the wind was 23 mph gusting at 35-38 mph from the north. Based on the fact that the plane ended up on outlaw filed rd, the pilot tried to land on Rwy 23. IT seems the other runway 17-35 is closed between May 1st and Sept 30th. Based on the wind direction, the crosswind component was 19-20 kts, Exceeding the 182 crosswind component limit…. We can question the preparation of the pilot (did he get a proper understanding of the weather), tried to land on a runway exceeding the capabilities of his aircraft and potentially his own skills. This is yet another example of the incompetence of CAP. I am surprised that this has not happened in the RI wing as of yet. As the former DO in 2014, we were tasked with moving our aircraft from OQU to PVD for the airshow event. As I went to pre-flight our 172, our Maintenance Officer was on the ramp. As I strained the tanks, all water poured into the strainer. Numerous attempts to clear the tanks was unsuccessful. As I wrote the plane up to be grounded the MO approached me and told me not to write it up and that all I had to do was rock the wings and keep straining the water. When I told him that he was out of his mind he began to mock me. Naturally I wrote up the issue and the plane was grounded. The result was that the tanks were completely contaminated and were boroscopically examined. The plane was down for a month. What we did find out through questioning the fuel logs and flight logs, that the last person to fly the plane was the MO (same guy who didn’t want it written up) and he left the fuel caps off. The caps were off for 3 days during torrential rain. This was verified by the fuel attendant. The man is unsafe and incompetent. This is the same man that has a bladder control issue and urinates in the plane every 30 minutes and has done so in front of female occupants. When Richard Hill was appointed as wing commander, he appointed this man as the training instructor. It is a wonder that no one has been killed in the RI wing to date. As a pilot, one must know their limitations. As sad as it may be, age becomes a limitation and when you dont realize it, you become unsafe and jeopardize others. If you were the DO at the time, you would know that the Wing Maintenance Officer works for YOU. If he was acting as you describe why didn’t you relieve him of is position? According to official CAP region stats reports, each region has about 20 mishaps (plus or minus) per month whether it by by aircraft or vehicle. With 8 regions, the CAP nationwide averages about 150 plus mishaps per month. Mishap meaning a plane hits the hangar door, runs into a sign, or a vehicle has a minor accident. Every few months, the CAP has a major accident in a plane, sometimes it is a fatality. That is far too many mishaps and accidents for any organization. CAP’s safety record is terrible and is getting worse. Many of these crashes involved CAP pilots over the age of 65. Something needs to be done about CAP’s unsafe flight record. More death by PowerPoint courses won’t solve the problem, nor will memos of professionalism from the top chief. We need to hold bad pilots accountable and show them the exit. We also need stricter criteria in who can and cannot fly CAP planes. My 2 cents worth. N5419E experienced a previous rwy excursion on 23 Aug 2001. The NTSB report for that accident indicates the pilot departed with a known brake deficiency. Upon landing the aircraft the PIC was unable to maintain directional control and departed the runway. The rwy excursion sheared the nose wheel. In that accident it was determined that the PIC and the unit maintenance officer did not follow KYWG direction to notify the LGM of any maintenance condition that resulted in grounding of the aircraft. Not mentioned in the NTSB report was that the UMO (and PIC) failed to obtain a ferry permit, a required item prior to flight with an unairworthy aircraft. 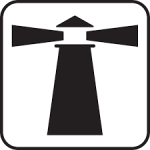 A ferry permit requires an AMT inspection of the aircraft to determine it can be safely flown for the purposes of obtaining maintenance to correct the deficiency. The silver lining in this current runway excursion is that CAP aviation mishaps today occur in fewer numbers than 17 years ago. The dark cloud is that when a mishap occurs pilots (and maintenance officers) make similar mistakes. In the current mishap the pilot appears to have attempted to land into a thunderstorm, which is usually a bad idea. However, until more information is available we won’t know whether that landing was necessary (i.e. the aircraft was surrounded by similar weather… and it’s ALWAYS better to crash at less than flying speeds while on the ground). The Congressional Legislative Squadron members in my state are much more concerned with photo-opping the bright shiny kiddies to get votes than they are about the unsafe behavior all over Civil Air Patrol today. I have stumbled onto a site on the dark web where they have photos of Civil Air Patrol aircraft and Civil Air Patrol members (seniors and cadets). They are using clay, string, needles, candles, pendulums and all kinds of weird symbols to place hex curses on many people of the organization. Never before have I seen this level of seething anger at Civil Air Patrol. Something really bad must have happened to someone’s son or daughter. I saw this comment on Kathryn’s Report, you might could use it. I am not intending to be anti-CAP with this comment, but I believe that an investigation should be conducted due to the number of these incidents with C182’s and the CAP. It believe they need to improve the training or find some different Instructors. A flight school or other aviation business with this kind of incident record would have been out of business long ago. Since it’s taxpayer funded, it seems to operate like like a money vacuum. I nominate Lt Col Wilson Polidura for PAO of the Year Award. Funny thing. This happens just two days after Mark Smith publicly caved to the growing mountain of evidence against Civil Air Patrol. In his May 4th memorandum, Smith admitted that Civil Air Patrol’s future needed to be secured against the unprofessional behavior of its pilots in the face of modern repair costs and a “litigious society.” Is that his slant on the $11.9 Million payout over Georgia Wing CAP’s dereliction of duty in the fatal accident at LaGrange-Callaway, Georgia? It is not just sloppy and arrogant pilots in Civil Air Patrol it is also their corrupt non-flying commanders. When I had read that the Georgia Wing commander Richard Greenwood awarded Joel Seidband Pilot of the Year in the cycle following the fatal accident in Lagrange, I was shocked. This shameful attempt to manage public perception is really sickening. 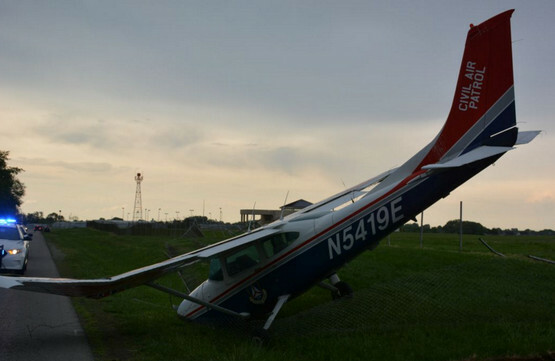 BTW, the Civil Air Patrol pilot is responsible for attempting to land his aircraft in a thunderstorm. Polidura’s implication that a thunderstorm can “take control” of an aircraft and somehow be the responsible party for this outcome is laughable. The investigation to follow will attribute this to another case of Civil Air Patrol Pilot Error and a poor attempt to manage public perception. The majority of comments appearing in other forums agree with you. This is CAP Pilot Error.